All local house wines and beers are included with meals ONLY! 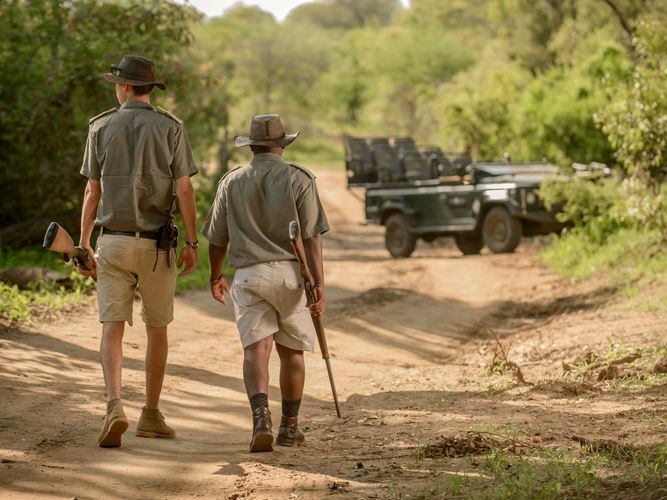 The Karongwe Reserve has to rate as one of our favourite private reserves in the greater Kruger area – whilst on the smallish side at around 9000 hectares, it punches over its weight by delivering very good game viewing in a scenically attractive environment whilst the lodges on offer are very well priced too. If there has been one thing missing up to now however, is that Karongwe has never previously offered a really upmarket lodge option. 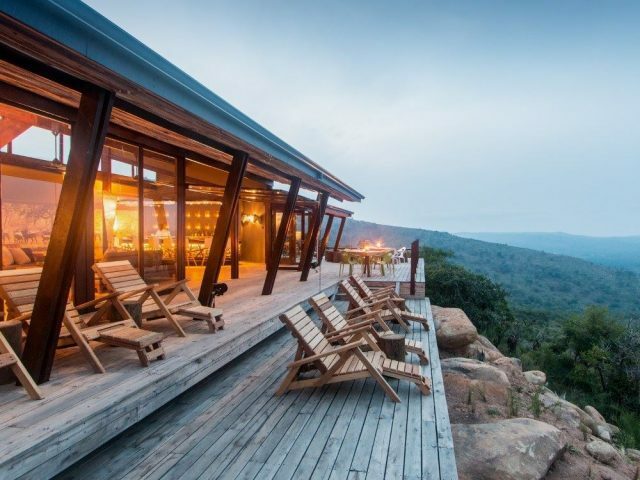 That has now changed though with the launch of the gorgeously contemporary and stylish Becks Safari Lodge which has now assumed its position as the unrivalled flagship lodge in the reserve! As mentioned previously, Becks features unashamedly contemporary styling which is a complete break from the old traditional thatch and timber safari lodge aesthetic. 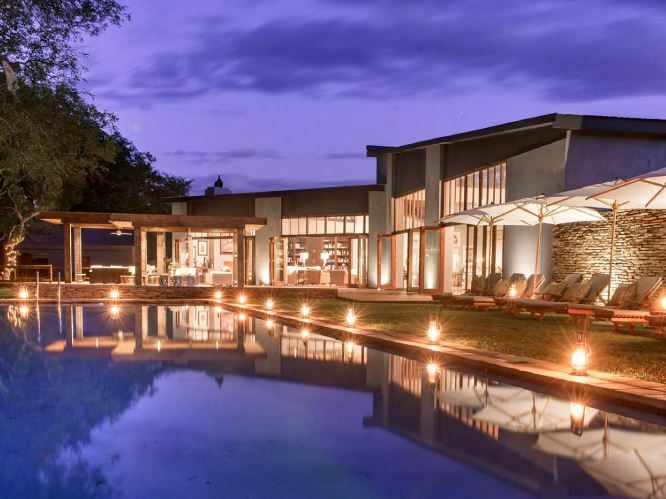 What you’ll find instead is very clean and angular lines (especially noticeable in the main public area) with flat, metal roofs and large folding doors which completely open up the inside spaces to panoramic views out over the Makutsi river’s flood plains. An outside lounging deck area with stylish and comfy sofas provide the perfect spot to enjoy a cocktail during the day, or you may prefer to chill on one of the loungers next to the adjacent pool which also overlooks the river – again, in keeping with the modern styling of the lodge, the clean lines of this 20-metre long infinity pool overlooking the river wouldn’t look at all out of place in a chic boutique urban hotel. The same applies to the stylish sunken firepit area alongside where you can relax under the stars after dinner with the tipple of your choice in hand. The danger is that it could have all come across a bit too cold and clinical, but the lodge has cleverly avoided this through the use of natural materials like stone and wood cladding and incorporated a neutral colour palette of tans, greys and silvers which has softened the impact and made the spaces both attractive and welcoming. 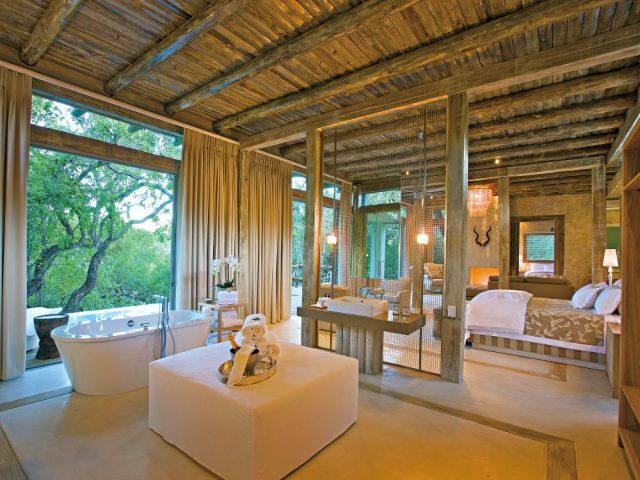 Obviously though, such contemporary design and décor is not going to appeal to everyone - if you’re hankering after a more traditional safari lodge, then Becks may not be the right lodge for you. Becks boasts 10 rooms which are spacious and airy and exhibit stylish and attractive interior décor. 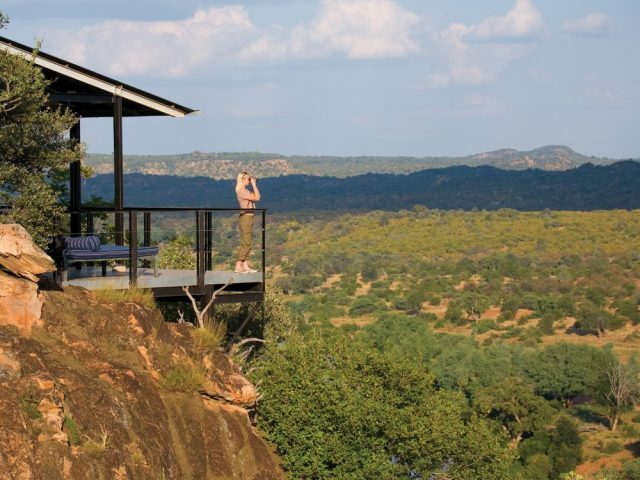 Most overlook the Makutsi River whilst a couple overlook an active waterhole – again the stacking doors open wide to allow guests to enjoy great views even whilst lounging on their comfortable beds. Similar tin roofs are again in evidence rather than the more usual thatch – however, the use of a reed cladding on the inside roof surface again cleverly lends a much warmer and softer feel. The large 4 poster beds are both stylish and supremely comfortable whilst the leather ottomans at the foot of the bed provides useful and attractive storage space. Add in air-conditioning (which provides welcome relief from the summer heat), twin vanities and a large walk-in shower with expansive views onto the outside bush and there’s little doubt that even the fussiest guest is likely to be delighted with their lodgings at Becks! Heading out on game drive, the Karongwe Reserve delivers some excellent game viewing. It may not be as big or well known as many of the other private reserves in the greater Kruger area, but Karongwe’s 9000-odd hectares have good game concentrations and also boast arguably the most attractive scenery of any of the Lowveld reserves. This comes courtesy of the 4 rivers which flow across the reserve, providing attractive riverine forest in abundance, whilst the looming escarpment of the Drakensberg provides an ever-present and extremely picturesque back-drop (Karongwe is the closest of all the Lowveld reserves to the mountain range) Big 5 sightings are commonplace (we even enjoyed leopard sightings easily on a par with other more famous reserves!) and a unique feature is that Karongwe offers the chance to track wild cheetah on foot which is a truly unforgettable experience! Back at the lodge the good news continues. Whilst relatively newly opened, the food is already garnering consistently excellent feedback from guests who also appreciate the many and varied dining venues – from breakfasts on the deck to eating a traditional braai under the stars in the boma area to stylish dining in the more formal dining room if the weather isn’t playing ball. And one of the things that we really enjoy is the regular featuring of venison dishes on the menus (a surprisingly uncommon occurrence these days) which we believe adds to the whole experience. A final attraction which definitely warrants a mention is the lodge’s Thera Naka Spa – after all, what can be better than relaxing after an enthralling morning game drive with a pampering massage overlooking the bush!